Pap: the perfect South African winter warmer. Who’d dare to disagree?! Porridges are high on the list when it comes to traditional South African meals. Made by boiling ground, crushed, or chopped starchy plants (typically grains) in water, milk, or both, with optional flavourings, and is served hot in a bowl or dish.Sweet or savoury in taste is a question of preference. Porridge is as native to South Africans as biltong or droewors. The meal is often referred to as pap (Afrikaans for porridge).If you are looking for some pap recipe inspiration, we advise a little research on the South Africa poor est provinces. This is where the scarcity unleashes the imagination, for porridge is inexpensive but it provides countless cooking options. Each ethnic group in South Africa calls pap by a different name; the BaPedi people in Limpopo call it “bogobe”, the Zulu people in KwaZulu Natal call it “phuthu” and the Xhosa people in the Eastern Cape call it “ipapa”. One thing is for certain – under all these names you are going to find one of the trade mark meals of the South African cuisine. In traditional villages, pap is prepared outside in a black cast-iron pot. The fire allows pap to cook faster and gives it that unique smoky taste. Pap is usually regarded as a breakfast meal. It goes well with vegetables, butter or sugar. The South African porridge is served hot but it can also be cooled and then fried. The pap consistency can vary from a smooth porridge which has to be eaten with a spoon, through a stiff paste which can be broken off with fingers, to a crumbly and dry texture like couscous. For your enjoyment, we at St Marcus offer a whole range of porridges to keep you warm in the winter and remind you of home. The Jungle Oatso Easy Porridge comes in two delectable flavours. Banana & Toffee is rich with a hint of banana and Strawberry Yoghurt is slightly tangy with a great berry taste. Jungle Taystee Wheat Porridge makes a smooth, hot porridge that will satisfy your breakfast needs. Bokomo Maltabella Porridge is smooth and malty, it can be enjoyed with sugar and milk or on its own. Bokomo Quick Cooking Maltabella Porridge is one of the nation’s favourite ways of waking up. 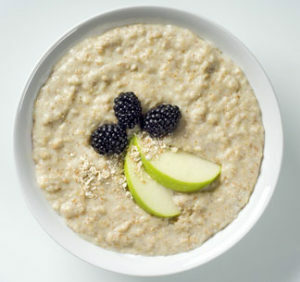 Jungle Oats Porridge goes well with butter and sugar, or a bit of honey with fruits. Shop the whole range now!